Stock up on your best favorite e cigarette liquid flavors so you'll never run out. Buy 4, Get 1 FREE is the best! Where else will you get 50ml of e cigarette liquid for this unbelievable price? 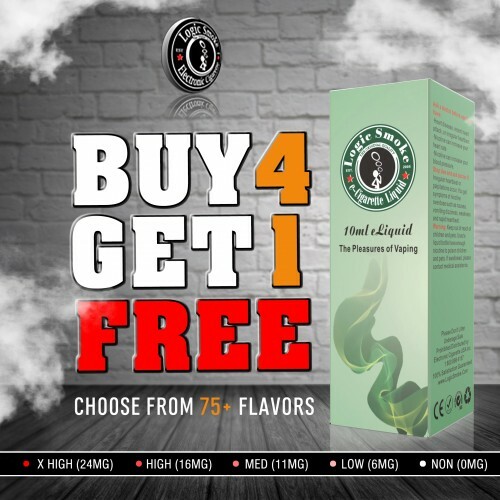 Our e cig liquid (also known as e-juice) is made up of a mix of 80% Propylene Glycol, 20% Vegetable Glycerin, and nicotine which gives you the capability to continue your habit of smoking without the added toxins and carcinogens associated with smoking real cigarettes.